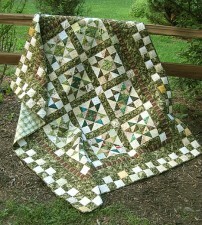 Pictured above are just a few of the ScrapTherapy projects that are available as patterns. 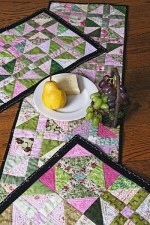 Once your scraps are organized, use them to make scrappy quilts, place mats, bags, and so much more! New patterns are released periodically, so be sure to sign up for the Good Migrations newsletter in the sidebar for weekly updates and the latest news. 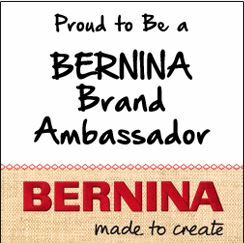 It’s easy – just enter your email address. And it’s free. Click on the Browse & Buy page, then the Patterns & Notions option to view all the ScrapTherapy projects available as individual patterns. You can make a purchase or two while you are there. Or you can simply browse at your leisure – no obligation! 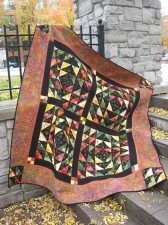 To add fun, efficiency and variety to your scrappy quilted projects, many of the patterns use additional notions. 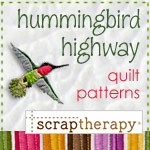 So, be sure to visit your neighborhood quilt shop and ask for ScrapTherapy and Hummingbird Highway patterns and products. Tell ’em a little Hummingbird sent you!